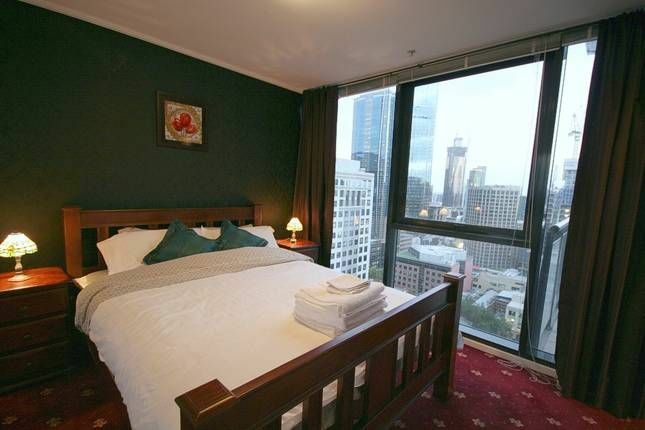 Located in Bourke Street, City Point Suite has stunning city views, right from your very own balcony. Enjoy inner city living at its best. The City Point Suite is a gorgeous one bedroom apartment with a swimming pool, gym, tennis courts, full city views, kitchen, deep bath, wide screen TV and much much more. Make the most of everything the Melbourne CBD has to offer by taking a stroll to one of the many cafe's or make a dinner reservation at one of Melbourne's award winning restaurants. You may decide to take in a theatre show or sing along with the opera. Melbourne offers the best in retail shopping, not to mention the Queen Victoria Markets. For footy fans, the suite is located just a minute walk to Etihad Stadium. It is also a short stroll to Crown Casino, Southbank and the Melbourne Aquarium. If you are looking for the perfect weekend or corporate getaway, look no further than the City Point Suite. Come in, relax and indulge! The City Point Suite is a self-contained one bedroom apartment. There is a queen-sized bed in the bedroom and a sofa bed in the lounge. When occupancy is greater than 2 guests the double-sized sofa bed in the lounge room can be used and linen is supplied. When occupancy is 2 guests that wish to sleep in separate beds there is an additional charge for sofa bed linen. City Point suite will sleep 4 adults, however the recommended occupancy is 2 adults. Good & Bad points - ensure you read! Bad: apartment not clean when we arrived. I had to email photos of state of apartment to concierge to ensure we were not charged for the cleaning. All cutlery/crockery were unclean in cupboards. Appears cleaning is not checked prior to new guests arriving. Couches really uncomfortable, windows can barely see out of due to being so unclean. Good: great location, quite residence, stroll from southern cross station, tram stop outside apartment. Would have definitely stayed again in future if apartment was in a clean state however this was not the case and we were very reluctant to use...anything! Such a shame as everything else about the apartment was great. Stayed in this apartment for an extra long weekend in July with my partner, fantastic location, great facilities, great view, staff prior to arriving where fantastic as we needed to check in early all arranged with a hesitation! Would stay again and highly recommend! stayed in this lovely appartment for 5nights and loved every minute of it close to all amenities and excellent facilities highly recommended. Lovely little apartment in a great location for exploring the city. After a little confusion about the key, it is a warm and comfortable nook. Views, esp at night, are terrific. Noise from nightclubs below can be a problem on Fri/Sat nights, but this is not a major deterrent. Great access to public transport, amenities and supplies nearby. BYO DVD's and ALL supplies if staying for more than a couple of days. Spent 3 Nights here recently.if you are coming to town for 1-2 nights ideal 1 room apartment.Views excellent.